Ballet is a classical, traditional form of dance. It is the foundation for all of dance. For dance students that have never taken a ballet class before we recommend starting with the pre-ballet class. Pre- ballet students learn beginning technique and terms that will better prepare them for ballet class. Ballet students come prepared for class knowing the technical terms; they know the routine of a class. The classes focus on what a ballet dancer does at the center, what a student does at dance time and what ballet dancer does at the bar, which is long and wooden, extends the length of the room. The ballet bar is used as a guide for dancers to hold onto and to support them during stretching, footwork, posture, torso extensions and leg extensions. The bar supports basic ballet movements so dancers develop strength and correct technique for center work. Together the bar and mirror give dancers the tools they need to self-evaluate, along with instructor feedback, proper technique for their head, shoulders, arms legs, and toes. Ballet gives you grace and poise for dancing . There are elements of Jazz, Hip Hop and Tap that are rooted in ballet. You learn to turn and point your feet in ballet. The grace you develop as a dancer is beneficial for the hand movements in Jazz, Hip Hop and Tap. Our classes, like all of our classes at Catherine's Dance Studio, have a smaller number of class participants. Catherine believes that personal attention is the key to developing proper technique. Excellent dance technique is the foundation for all good dancers. Learning ballet in a supportive, caring environment makes all the difference in the world when you are a parent watching your child dance from the wings! Her outer and inner beauty as a person and a dancer can shine when she's learning a skill with a teacher who truly cares about her and wants to be a part of her growth. We stage two recitals a year at Catherine's Dance Studio. One at Christmas time and another in May. Our May recital is emotional for all of us as we are saying good-bye to our seniors. (Many of whom come back to assist when they are home from college.) Some of our seniors have been dancing with us from the beginning. You will find something very different at Catherine's when you compare us to another other dance class you may have been to. You will notice the difference with your very ballet first class. 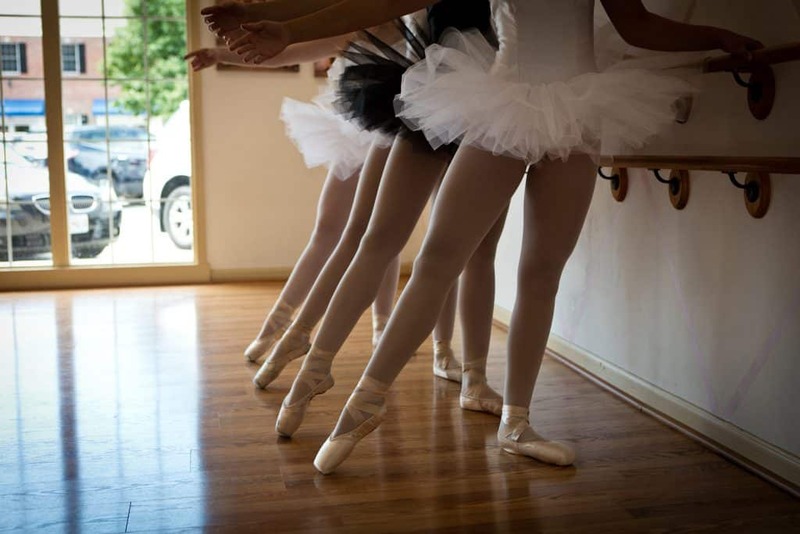 It is our focus on technique and our commitment to your child's growth as a ballet dancer. "The grace and poise that a student learns in Ballet are transferred to other dances and to a girl’s life out of the studio as well. When I see a girl walking, I can tell she is a dancer. Her shoulders are back, she holds her head high, and she has that extra poise that comes from being a Ballet dancer. She carries herself differently, she is stronger and she knows it. She is a Dancer and that helps define who she is and where she thinks she belongs in the world. What parents give their girls and what she gives to herself in the dance studio makes a difference in her life." For more information about ballet classes at Catherine's Dance Studio in The Northland, call (816) 214-7370 . Our registration process is very personalized. To enroll in a ballet class please call.